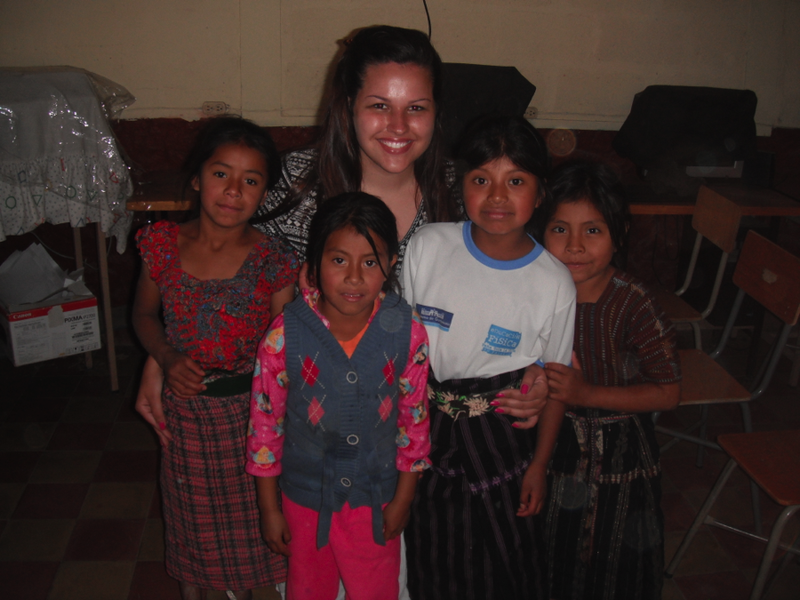 The Guatemalan experience has been an exciting and profound journey thus far. Between teaching English to los parvulos (preschoolers) and exploring the rest of Guatemala on weekend trips, the past two weeks have been an amazing adventure. Teaching English to three preschool classes has been extremely rewarding since Kathleen and I have the ability to form a basis for their knowledge of English and raise their enthusiasm about learning it so that they will continue to do so in the upcoming years, creating more opportunities for their future. Teaching English to the elementary teachers was more of a challenge since we were unaware of their English speaking abilities, but after the first class we brainstormed a sustainability plan of action and have decided to create a guide to help the teachers effectively teach English to their students. 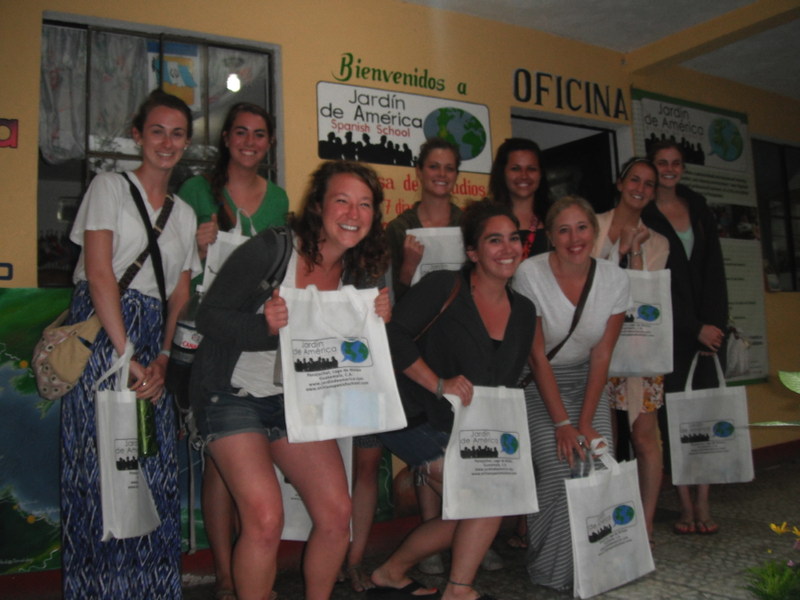 Besides lesson planning and teaching, we also went to Spanish school every day for the first week, where we had one-on-one instruction to help improve our Spanish. Our last class involved taking a trip to the market and then preparing a typical Guatemalan meal, which was a fun learning experience. Although we work hard during the week, traveling to Chaquijya to teach and having cultural discussions as a group, we also make time for fun and explorations. After being in Guatemala for one week, we then traveled to San Pedro, which is a town on Lake Atitlan, where we stayed in a really fun hostel and then hiked Indian Nose, which was a challenge but was worth the amazing view of the lake. 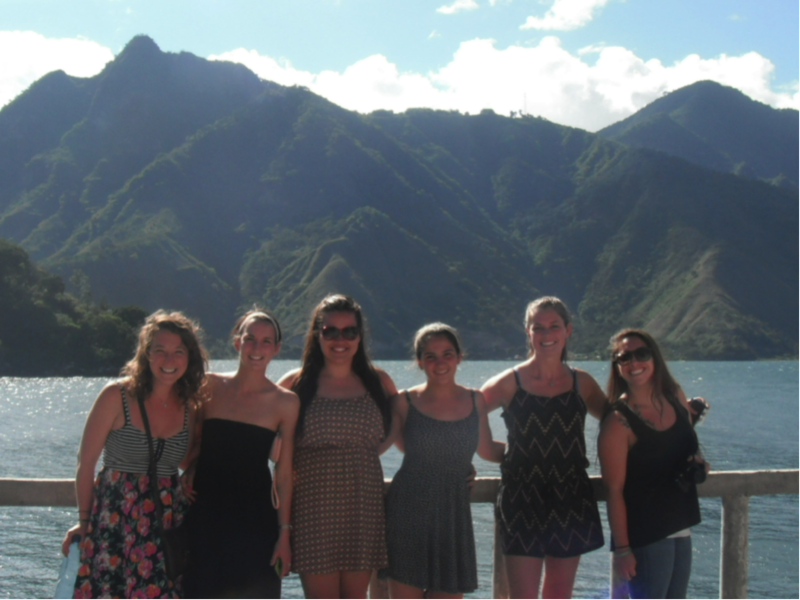 This past weekend Kathleen, Allie, Kalie, and I traveled to Xela by ourselves, which was an exciting experience. Besides exploring the beautiful city of Xela, we also spent a day at a waterpark called Xocomil. It was very strange that a waterpark was located in the middle of nowhere, Guatemala, especially since so many people fail to receive clean, running water (our house in Solola sometimes included). Being at the waterpark felt like we were in a different country, and there was a surprisingly large crowd of Guatemalans there, as well. We went on basically every waterslide possible and had an absolute blast. It’s sad to think my time here is already half way over, and I can’t wait to see what the next two weeks have in store!